The Internet of Things is the next big thing for a number of industries. Everything, including your customers, is connected via the internet– and as time and technology progress, this fact will become increasingly true. For this reason, it’s become critical to understand how this interconnectivity of people and devices can affect and improve business intelligence. 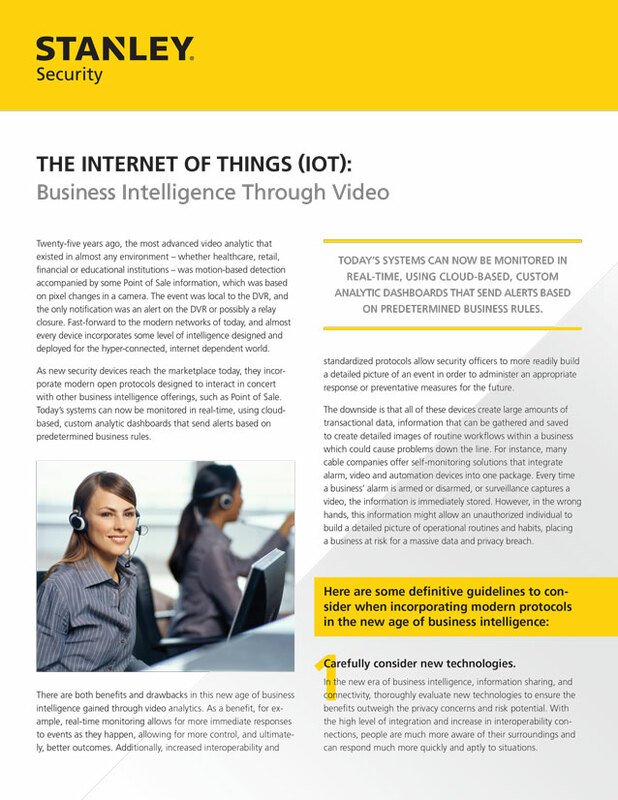 This guide highlights a few things you should consider when deciding to implement video analytics. Please fill out the form on the right to download this Whitepaper.